And when we say love we mean, love. Mint is perfect for fall and winter, why? Well, when things start to get chilly you can always look to a bright and welcoming mint green kitchen to come home to. They say that sky blue is the most calming of colors. Move over blue, it’s all about mint now. So you know how you acquired all those coral, peach and nautical colored clothing this summer? Guess what? Mint goes with all of them! Throw on a pair of mint skinny jeans and pair it with a navy and white striped top. When the holidays roll around a cute red dress would look great with these mint oxford flats and purse. 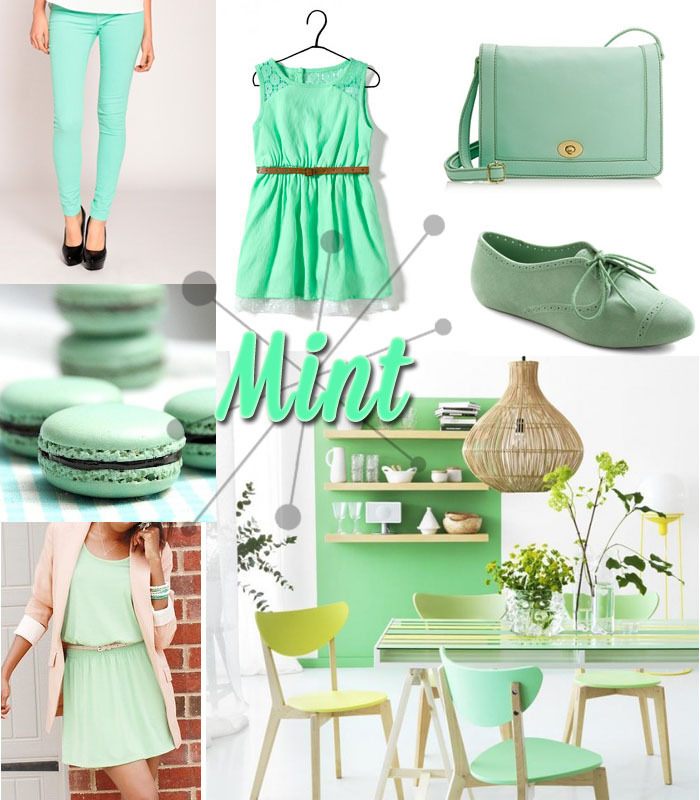 Inspiration like this mint outfit always helps with color coordinating. Even your little girl can sport her own mint dress. At the end of the day, when the kids are asleep and the home is silent and still, you can always count on a delicious mint chocolate macaron to top off a perfect day. Mint is one of my favourite colours and flavours. I really want some mint jeans, but I’m not sure I can pull them off. Think I better head to the shops and try them on anyway!